Aristotle called plot “the most important element of storytelling.” But to plot properly, you must have a plan, and the plan must give rise to emotion. Does the plot always seem to elude you? Spend a day planning and plotting and find out what you’re missing. Bring your flat-lining fiction and nonfiction and fix it. Linda has judged the San Francisco Literary Awards, the Josephine Miles Award for Literary Excellence and the Kiriyama Prize, served as a visiting mentor for the LoftMentor Series and been guest faculty at the Oklahoma Arts Institute. 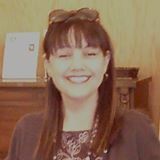 A past NEA Panelist and juror for the Marin Literary Arts Council and the founder of Left Coast Writers®, she has led workshops in Greece, France, Italy, Ireland, Central America, Indonesia and the United States and has mentored a long list of accomplished writers and best-selling authors toward publication.